Equally at home on the concert platform as the opera house, Gullberg Jensen’s begins 2018/19 with the Hamburger Symphoniker where he performs throughout the year, including Beethoven No.9 for their New Year concert. Re-invitations following the 2017/18 season see Gullberg Jensen conduct the Norwegian Arctic Philharmonic Orchestra and Ulster Orchestra, where he will conduct Anna Clyne’s This Midnight Hour. 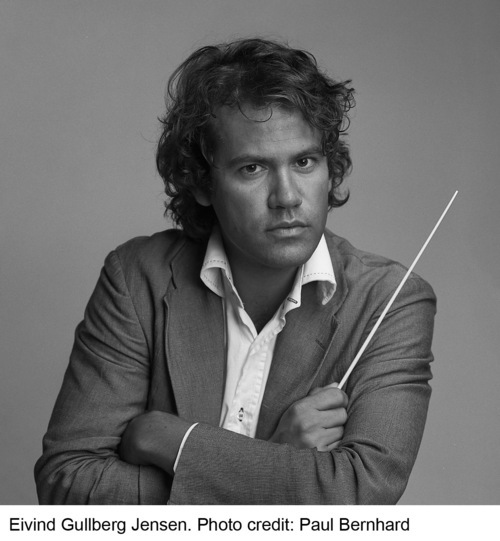 Further afield Gullberg Jensen debuts with Vancouver and Oregon symphony orchestras, and the North Carolina Symphony. Gullberg Jensen has previously conducted orchestras such as the Berliner Philharmoniker, Münchner Philharmoniker, Oslo and Royal Stockholm philharmonic orchestras, Netherlands Radio Philharmonic Orchestra at Amsterdam’s Concertgebouw, Kristiansand Symfoniorkester, Orchestre de Paris, WDR Sinfonieorchester Köln, Noord Nederlands Orkest, and Tonhalle-Orchester Zürich. Over recent seasons, he has worked with soloists such as Leif Ove Andsnes, Truls Mørk, Alice Sara Ott, Helene Grimaud, Gautier Capuçon, Sol Gabetta, Alban Gerhardt, Hilary Hahn, Gabriela Montero, Emmanuel Pahud, Yefim Bronfman, Alexander Toradze, Vadim Repin, Viktoria Mullova, Renaud Capuçon, Frank Peter Zimmermann, Mari Eriksmoen, Charlotte Hellekant, Albert Dohmen to name but a few. In the opera world, this season he returns to Wiener Staatsoper for their production of Dvořák’s Rusalka and Opera de Lille for Mozart’s Die Zauberflote. With the Bergen Philharmonic, Jensen will conduct their Norway tour opening at the Bergen International Festival in May 2019. This features the world premiere of The Waiting of Solveig, which combines music from Grieg’s Peer Gynt Suite and text from Norwegian writer Karl Ove Knausgård.